This week’s WordPress photo challenge is to choose your favorite photo taken in 2017. I’m going with a photo that I haven’t posted before (though below I offer a few of my favorites that have run). This is Sriracha, a female Bengal tiger and cousin of Tzatziki, a white male tiger. Both can be found at Pana‘ewa Rainforest Zoo in Hilo. What I like about this photo is those huge paws, the quiet movement, and the sense of great power that could be uncoiled at any moment. 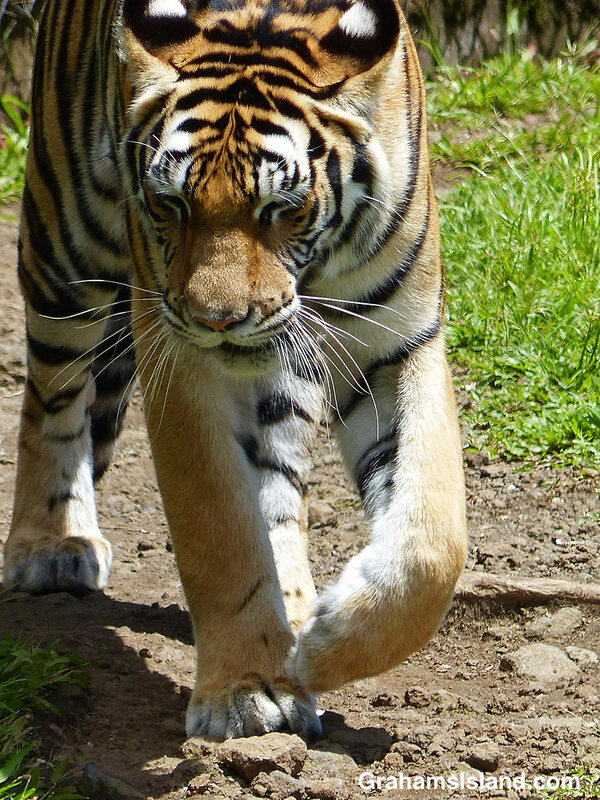 For more information about Pana‘ewa Rainforest Zoo & Gardens, go to hilozoo.org. Left. 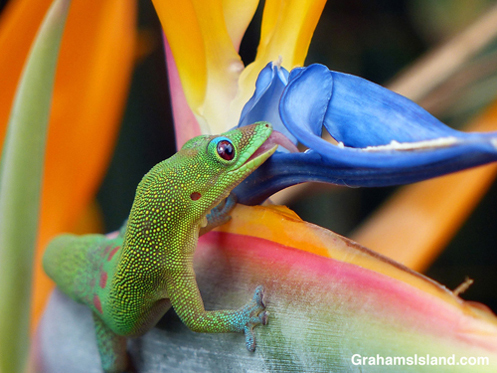 A gold dust day gecko drinking from a bird of paradise flower is a blaze of color (posted here). Right. 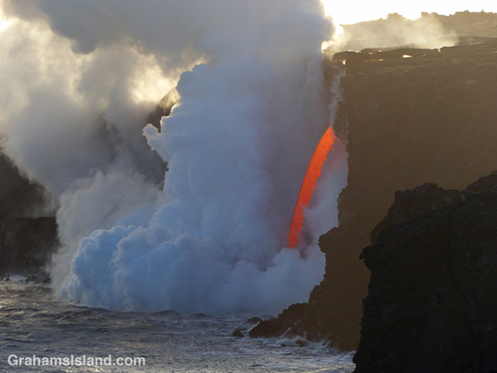 This photo captures the awesome spectacle of the lava firehose from Kilauea Volcano pouring into the ocean (posted here). Currently, while the flow is still active, lava is no longer entering the ocean. Left. 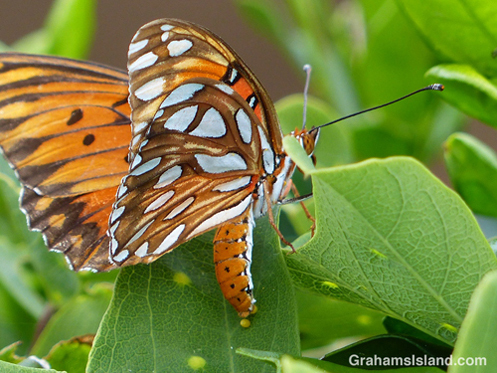 I was happy to snap the moment a passion vine butterfly laid an egg (posted here). This was taken on the same day as the gecko photo above, so a banner day for me. Right. 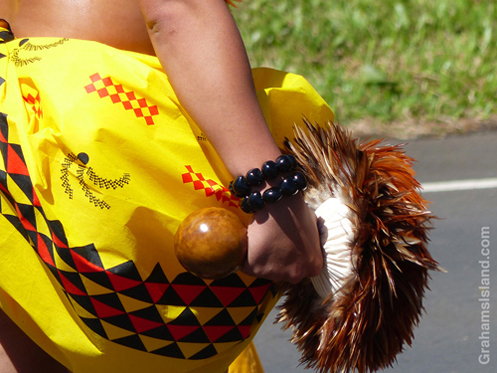 I like all the photos in this post for their color and how they capture something of this most Hawaiian of dance (posted here). 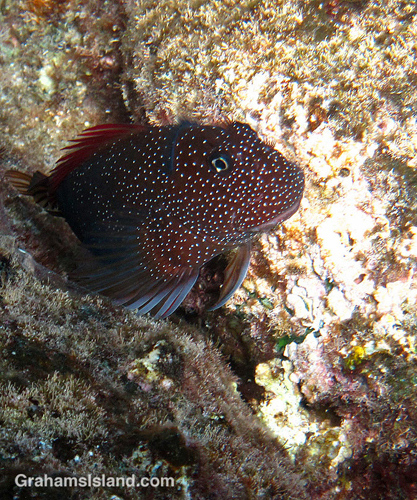 Finally, I love this gargantuan blenny for its name, and was very pleased to get this photo, since the fish is apt to dart away and the shallow water was rocking (posted here). Thanks. It’s fun looking back at the year’s photos. Have a happy new year.